My parents had just one week to visit me in Florence, which meant our trips out of Florence could not exceed one day. And since none of us had ever been to Italy’s capital and most ancient city, a day in Rome was an absolute must. I have been warned many times that Rome can’t be done in one day. But with a few effective strategies, we were able to have a full and enjoyable day in Rome. We left feeling like nothing was missed. 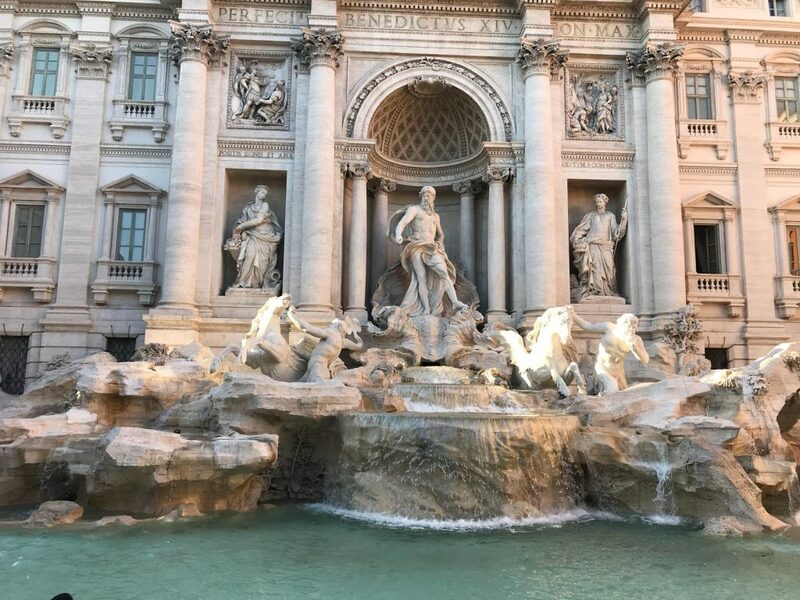 The best thing we did was pick only three must-sees and plan our day in Rome around them. That way, we knew we would have time see the things that were most important to us. We also planned a few optional things that we could do if we had time. 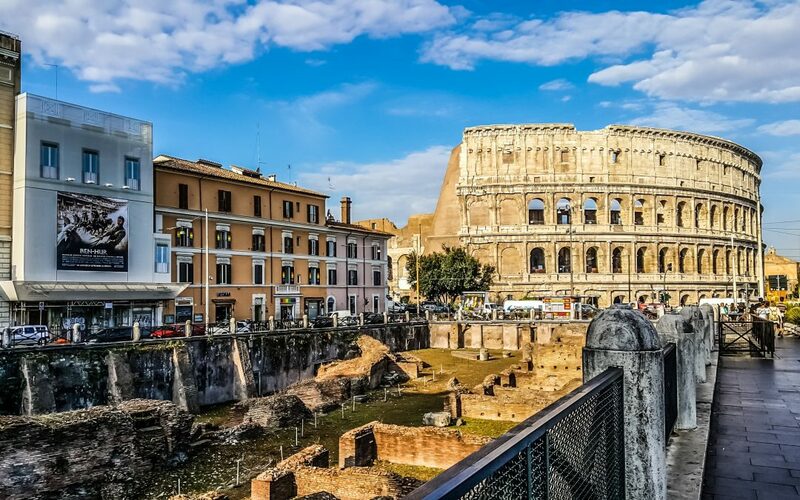 We agreed the Colosseum would be a crucial stop in Rome, because it is a hub of so much culture and history. Our other main priority was to see the catacombs, since my dad had heard such amazing stories from my grandfather, who had recently passed away. It was difficult to find information on how long the lines at the catacombs might be, so we left ourselves plenty of time in our schedule. 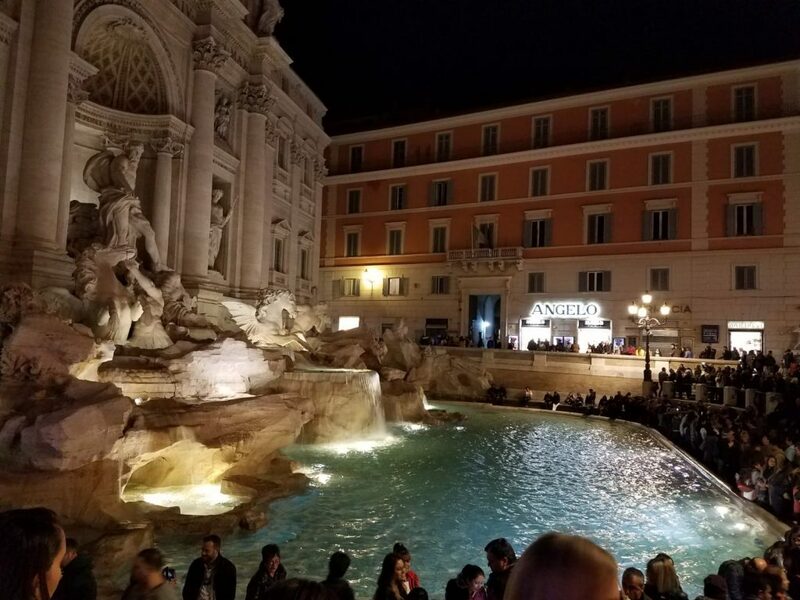 We decided that we could save the Trevi Fountain for last. That way we could see it at night if the catacombs took a while, or see it early and add something else to our itinerary if the lines moved quickly. 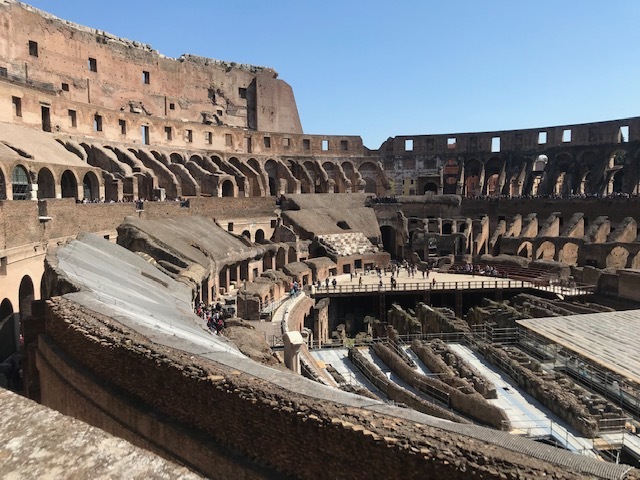 Since the lines of the Colosseum are notoriously endless, we used a skip-the-line ticket in order to save time and better plan our day. We got into Rome in the late morning, and were scheduled to be at the Colosseum at 12:30. 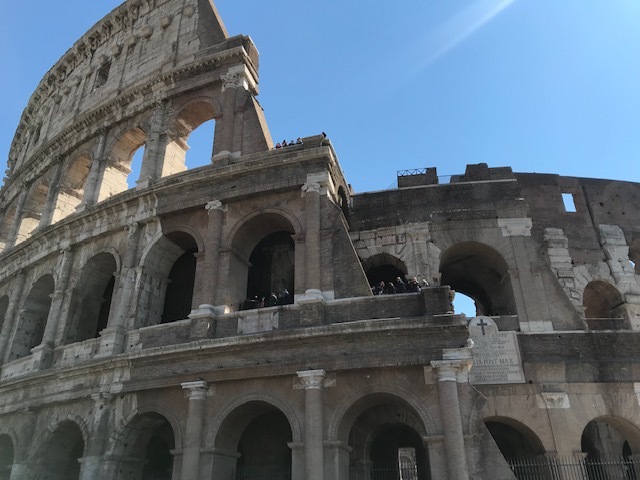 This gave us time to go to the Colosseum and see exactly where the entrance would be, and then have a little picnic with our packed lunches and walk around the area. In hindsight, we could have even seen the Roman Forum while we waited if we had gone straight there, since it was also included in our Colosseum ticket. 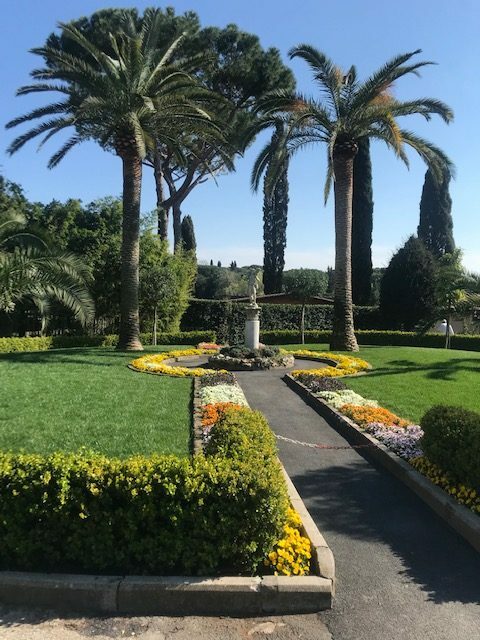 But either way, having a pre-scheduled ticket without an entrance time gave us a lot more flexibility in planning our day in Rome. Map apps are not always foolproof, but they can often provide useful information for using taxis or public transportation. When it was time to go to the Catacombs, we know that walking was not an option. There were taxis waiting right outside the Colosseum, and the drivers said it would cost 20-25 euros to get to the San Callisto catacombs. There are a lot of really warm and welcoming people in Rome. Unfortunately, there are also plenty of people who know they can get away with taking advantage of tourists. Like the people dressed as Colosseum employees, or the taxi drivers who wanted to overcharge us, there are people who hope you won’t know any better. In the two examples I previously mentioned, we knew to doubt what we were being told. However when we stopped for a snack and drinks, we weren’t being picky and reading reviews because we were desperate to find a spot to charge my phone. Long story short, we got ripped off. Snacks were brought out that were said to have been part of other orders, but were actually each charged separately and were very expensive. Moreover, we were never given a ticket that showed what we were actually paying for. It wasn’t until after we had paid much more than we were expecting that I asked to see a check with the prices on it, and realized what happened. Since the food had been eaten and the check had been paid, we were not given our money back. We are disputing the charge through our bank, but it was definitely a sour point in our day in Rome and a lesson learned the hard way. Though dinner was a little spoiled by the mishap explained above, the time to sit down and eat and drink together was well enjoyed. We needed the time to rest and recover before seeing our last couple of sites and walking back to the train station. 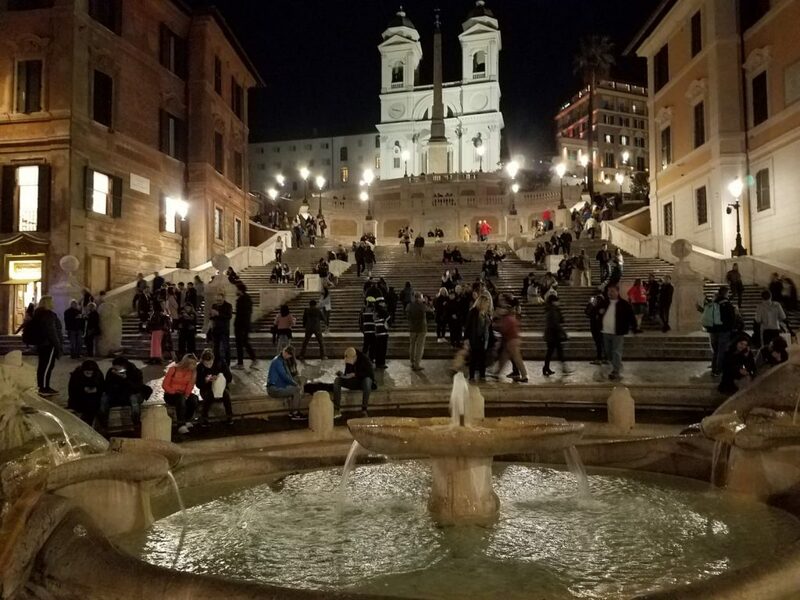 Since we had saved ourselves plenty of flexible time, and the catacombs and Trevi Fountain had not taken as long as we thought, we were able to go back to the Trevi Fountain and to the Spanish Steps to see them at night. It was a beautiful use of our extra time. Our day in Rome ended on a high note, and we walked back to the train station. After all of the planning, trial, error and success, the best advice we can give is to enjoy yourself. Rome is a fantastic city and it is a privilege just to be there. In all of the planning and rushing and crowds, don’t forget to step back and appreciate it.